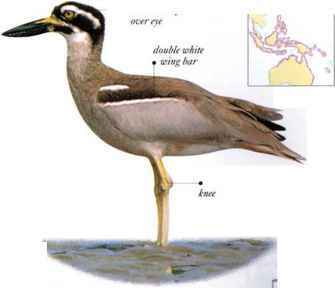 A long-legged shorebird, known for its slender, upcurved bill, this species is also tinusiial for having webbed feet. It is found in estuaries, coastal lagoons, and saltwater lakes, feeding mainly in shallow water, preferably salt or brackish (partly salt and partly fresh water). Its most characteristic method of feeding is to stand in the water and swing its head and neck from side to side, sweeping its bill to and fro in the water, in search of small aquatic animals. Pied Avocets can also target their prey and seize it without sweeping and sometimes feed by swimming and up-ending like ducks. Nesting colonics are located on open ground beside water. • NKST A hollow in the ground, bare or with a lining of stems, grass, or pebbles, collected from within reach. Eurasia from British Isles east to Far East. Winters as far south as Africa, Pakistan, and China. This unusual shorebird is always found in an open landscape, whether a tract of semidesert, a stony heath in the subtropics, or a stretch of arable farmland. It lies hiding on the ground by day and, if alarmed, runs rather than flies. It can fly strongly, and at night it may travel some distance to feed. 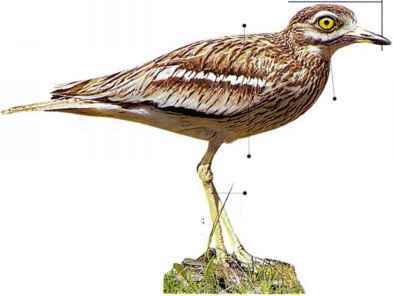 The Stone Curlew is active at dusk and after dark, hunting insects and other invertebrates. 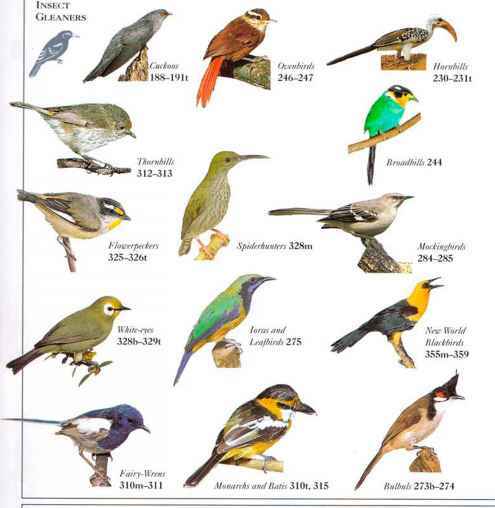 Individuals meet by night for noisy calling and display. The wailing, whistling, curlewlike calls can be heard from far off. • NliST A hollow scraped with the feet and shaped by body pressure either bare or lined with small stones. Breeds in W. Europe and C. Asia. Winters as far south as Africa, India, DISTRIBUTION and parts ofS.E. Asia.